God is a builder. He laid the foundation of the world. He framed the world. And when God builds something, he builds it to last. God is a builder. He laid the foundation of the world. He framed the world. And when God builds something, he builds it to last. He builds for longevity. And whatever God builds withstands the attacks, the difficulties, and the storms of life. Jesus says there is no other foundation that a man can lay, other than the foundation that is already laid. Jesus is the only foundation that has been laid. And everything we build must be built and orchestrated first by Him and on Him. Dr. John Tetsola in this book systematically demonstrates to us how God builds into the believers’ life and uses him to establish His purpose. 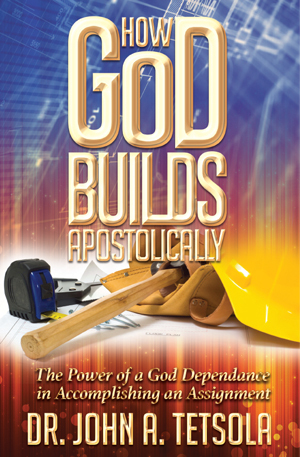 This is a must read apostolic blueprint for building.